Do you represent an Oregon State Government Agency and wondering how you should archive all your web and social media content? Are you trying to determine what you need to do both from a legal and a technical point of view? Here’s a guide to the different Laws and processes you should follow. What Laws govern Records Management in the State of Oregon? Oregon’s Public Records Law and Meetings Law (ORS 192.410 to 192.505) attempt to enforce standards to balance the need for efficient governance with the public’s access to information within the State of Oregon. Do Oregon State Records Laws include Website and Social Media content? “Public record” as defined by ORS 192.410(4) makes it clear that records are broadly defined as including any writing that contains information relating to the conduct of the public’s business, including but not limited to court records, mortgages, and deed records, prepared, owned, used or retained by a public body regardless of physical form or characteristics. This definition includes information stored on virtually any medium (ORS 192.440(2)). Computer data and printouts generated for use by the public body are public records. The State e-Governance Board states that like other forms of communication, social media posts are public records and that if employees post comments on other social media sites, they should archive anything that requires retention. All state and local government instrumentalities are subject to the Public Records Law, including “public corporations” and private entities that have the “functional equivalent” of a public body. Agencies must hold public interest in disclosure in its primary interest when archiving and making available the relevant records. “Custodians” must take “proper and reasonable” steps to accommodate members of the public. Public bodies at every level of government use computers and electronic storage mechanisms extensively. The public’s access to information depends on its retrieval by public bodies through the use of computer software, and so Public Records Law requires those efforts to retrieve and make available computer or electronically stored data and information, when requested. (ORS 192.440(2)). When a public body uses computer software or programs to retrieve information for its own purposes, the public body must, upon request, use that same software to retrieve and make available existing data or information stored by the public body in computer or electronic form. 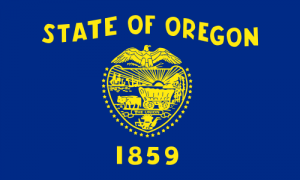 In 2009, the Oregon legislature enacted HB 2500, (codified at ORS 184.480 to 184.488), creating the Oregon Transparency Website to make certain basic information about government readily available to the public and should be maintained and accessible. How can we transfer website archives made with PageFreezer to the Oregon State Digital Archives?